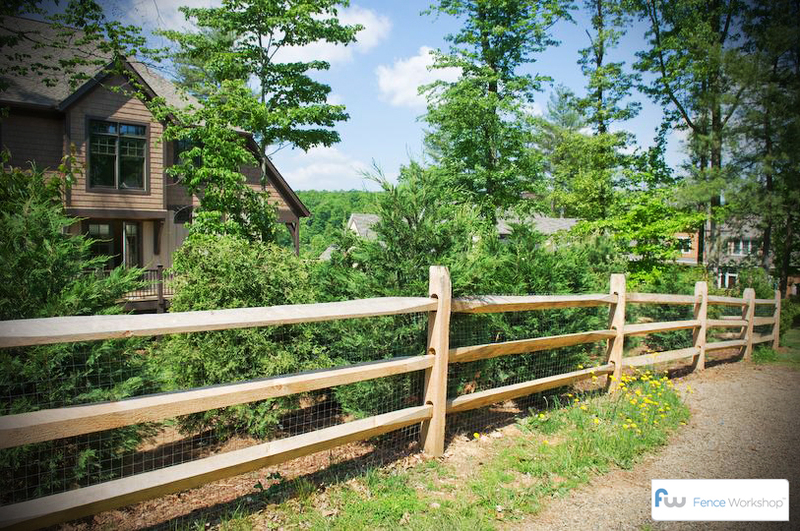 When it comes to building split rail fences in Atlanta, Fence Workshop™ is the go-to company. We supply materials for pine and cedar split rail fences in Atlanta and surrounding metro Atlanta areas. Our common options for split rail fencing are 3 rail versus 4 rail, pine versus cedar and wire vs no wire. As you can see, the split rail fence pictured above is equipped with wire. By adding wire to your split rail wooden fence, it adds the functionality of containing dogs and other pets as well as keeping others out. It’s our goal to provide our customers with the best possible quality, service and pricing. So if you’re looking for the right company or contractor to supply split rail fencing in Atlanta, look no further than Fence Workshop™.